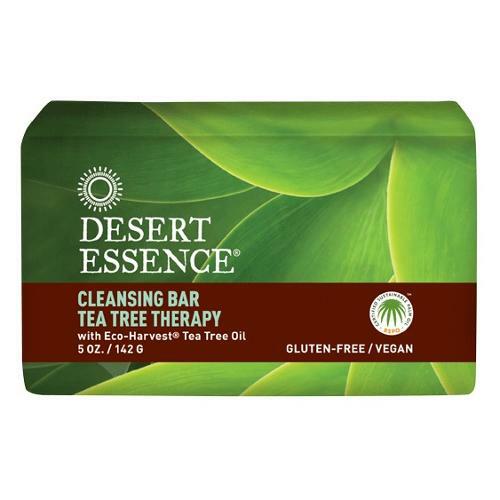 Works great as a prep for shaving Moisturizing jojoba oil, soothing aloe vera and the antiseptic properties of our Eco-Harvest Tea Tree Oil make this one therapeutic bar of soap. The refreshing, natural, vegetable-based formula can be used on your face and body. Ingredients: Contains Saponified Palm Oil, Saponified Palm Kernel Oil, Water, Glycerin, Eco-Harvest(R) Tea Tree Leaf Oil, Jojoba Seed Oil, Aloe Barbadensis Leaf Juice, Sodium Chloride.